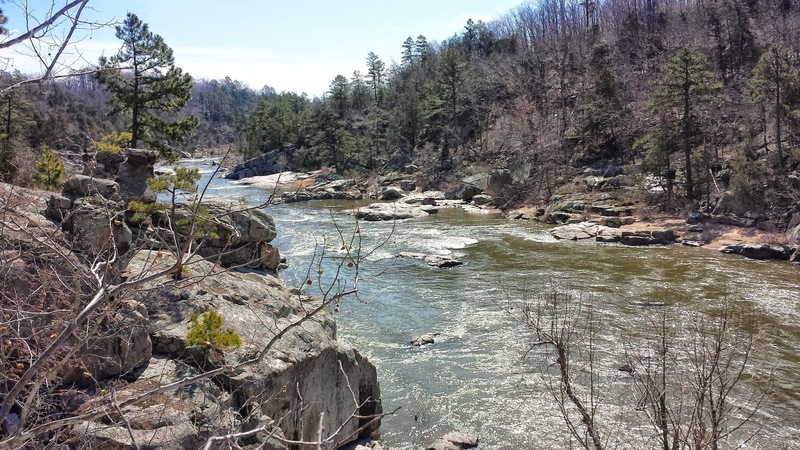 Local Treks: Hiking Missouri and More: The 100 Missouri Miles Challenge. Think You Can Do It? The 100 Missouri Miles Challenge. Think You Can Do It? There is a lot to be proud of here in Missouri, and our State Parks and the miles and miles of well maintained hiking trails they offer are just one of the many, many cool things that many Missourians (including myself) may take for granted from time to time. Well, we may let our appreciation of the Missouri trail system slip from time to time, but American Trails (a national, non-profit organization that works on behalf of our country's hiking, biking, and riding trails) named little ol' MO the distinction of "Best Trails State" for 2013-14 and our Missouri State Parks had a HUGE impact in Missouri receiving that distinction as they accounted for nearly 1,000 miles of Missouri's trails! Now, be sure to keep in mind that the the Missouri Department of Conservation also oversees approximately 600 miles of trails and Federal Agencies (such as the National Park Service, US Fish and Wildlife, and US Forest Service) account for 700 miles of trails, so I'm certainly not calling them slouches as all. Well, all this hub-bub about the quality of Missouri Trails set into motion a challenge from our Governor, Jay Nixon, to get Missourians off the couch and onto one of our awesome state trails in 2013. The gauntlet was tossed as he asked for residents to take in countless lungfuls of fresh air, some of the most spectacular scenery in the state, and memories that will reside with them for a lifetime as they logged 100 miles on Missouri's trails. The response was enormous and we racked up over 1.1 MILLION Missouri miles in 2013. The Governor is hopeful that we will beat that amount this year as the challenge was once again put forth on March 20th. So if you plan to hike, run, walk, paddle, bike, hop, skip, jump, roll or plan any other form of locomotion on Missouri's trails why don't you join the challenge today? Just hop over to 100missourimiles.com today and sign up. There is still plenty of time for you to put in your own #100MoMiles!